Imagine being able to order, direct, check, track your event assets 24/7. Our merchandising team will help you pick the right product for your events and audience, and handle the inbound and outbound logistics, inventory, and storage. From pop-up back walls and banners to fully molded tradeshow booths, we can design your event space and get it to each location. Our QuickBrand Distribution System can handle EVERYTHING you need to power your events, including recharging and secure storage for iPads and other electronics. 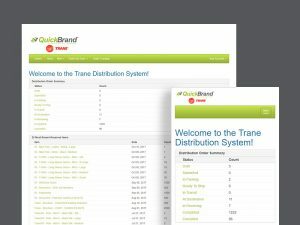 Get total visibility on every asset, including current event locations, future allocations, on-hand inventory, and more. Our system shows carrier tracking and instant feedback whether an item is at our location, at the event location, or in transit to either location. 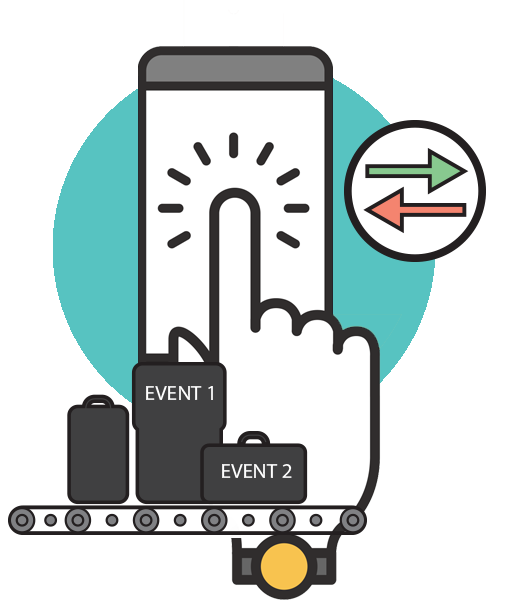 Advanced forecasting, post-show reporting, and simplified returns make life easier for your event planners and your team on the ground at events. The Identity Works event management system has made our trade shows and conferences much easier to manage, and has saved us countless hours. We know our assets will arrive on time and ready to use, and are being correctly inventoried and managed when we send them back.